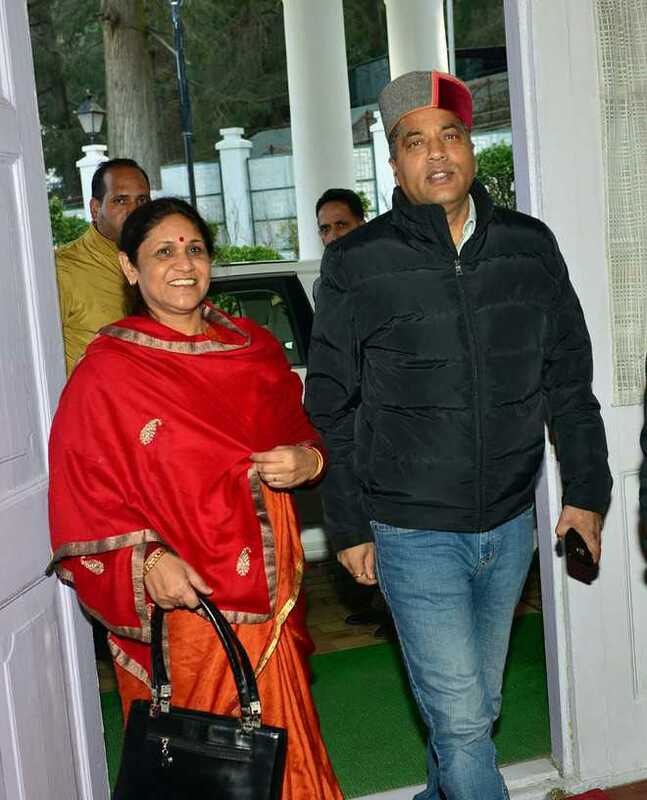 The PWD had a tough time refurbishing “Oakover”, the official residence of the Chief Minister so that Chief Minister Jai Ram Thakur could move in. The previous Chief Minister Virbhadra Singh lived in his private residence “Holly Lodge” and used “Oakover” only for the official purposes. However, it was used and “misused”, especially by a public relations team and party workers of Shimla (Rural) in the run-up to the Assembly poll who left it in a deplorable condition. Since the MLA hostel flat in the Vidhan Sabha complex, where Jai Ram was residing, was proving to be too inadequate to house a huge crowd and public coming to meet the CM, there was a sense of urgency to refurbish “Oakover” at the earliest. “The house has been left in a bad shape with food stains all over the upholstery and carpets but we have no choice to do it up at the earliest,” remarked an official. Finally, the CM moved into his official residence on Sunday. Should there be such misuse of the CM residence? BJP leaders returned to their constituencies after being sworn in as cabinet ministers this week. While the ministers received a rousing welcome, their cronies were busy arranging parties or dham (mass lunch) for supporters. However, in the guise of arranging dhams, these cronies were busy burdening officials of government departments to arrange for these parties. The officials, who did not know what would be their places of postings, were reluctant to invest in the cronies of new ministers. However, they were ultimately made to yield. Though the ministers had no knowledge, the cronies are busy deciding and allocating postings to chosen officials and contracts to their own persons. Netas and ambitious officers willing to get some plum posts are making a beeline for Sangh Shakhas which are now new power centres. The post seekers are seen with BJP MLAs lobbying with the shakha men even on The Mall. With the power shift, new men placed on prime posts are from the Sangh Parivar, a pre-qualification for any important assignments. From the Chief Minister’s Office to other offices of the various ministers, it is the saffron tag that sells and gets the prime posts, reveals a senior babu. After the saffronisation exercise is complete in the Secretariat, it will spread to other offices at the district and sub-divisional levels. The race for securing posting in the plum Baddi industrial belt has also begun. With a new team led by first-time Chief Minister in place, the officials, who had been banking on old associations, appear to have lost out and everyone is waiting with the bated breath to see the new Baddi team. An officer, who had served here earlier, was heard commenting that those in power could change but the lure for a posting here remains unchanged.